Immigration Minister Jason Kenney is bending to opposition pressure and amending his controversial refugee omnibus bill, C-31. The amendment will introduce a 14-day and six-month review of the detention of so-called "mass arrivals" of refugees. "People have raised concerns about this. We've studied the issue closely as a result of which the government has decided to amend the bill to allow for an initial detention review at 14 days initially, and then subsequently at six months," Kenney told reporters Wednesday. The bill originally stipulated a judicial review would only be necessary after those refugee claimants designated as "mass arrivals" by the minister had been in detention for one year. 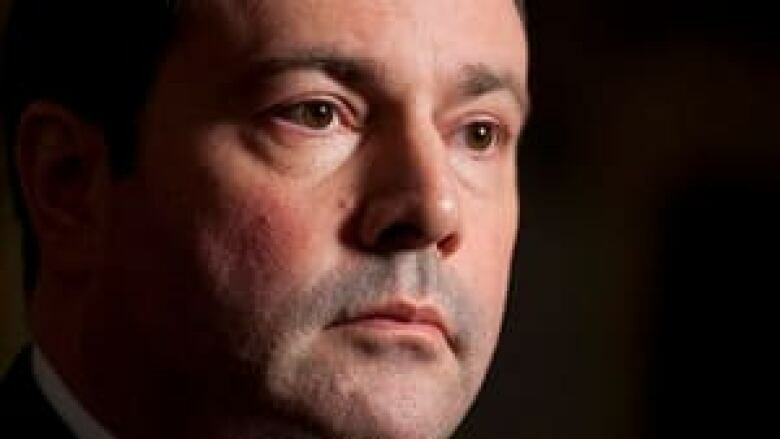 Kenney also introduced another amendment to clarify that the government would not have the power to revoke the permanent residency of successful refugee claimants if conditions improve in their countries of origin, unless it was found they obtained their status through fraudulent means. "The government has no intention of removing permanent residency from bona fide refugees if things have changed in their countries of origin," he said. Even with the amendments Kenney announced Wednesday, the bill still gives the immigration minister sole authority to decide which groups of refugee claimants are "mass arrivals" — a term which is not clearly defined in the bill. 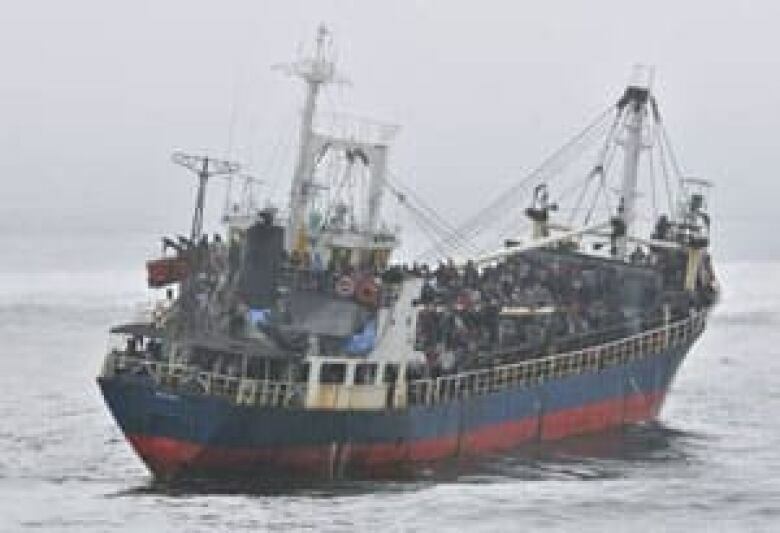 The measure was sparked by the arrival of two boatloads of Tamil migrants off the coast of Vancouver in recent years. The bill would allow for those cases to be designated retroactively as "mass arrivals." Several legal experts have argued that provision would almost certainly generate costly court challenges because it is inconsistent with the UN Convention Relating to the Status of Refugees, the Charter of Rights and Supreme court precedents. Refugee law professor Peter Showler was among the legal experts who have warned it's not yet clear how much the government has backed down. While changing the controversial clause was "excellent news," Showler said, he noted that the first review at the 14-day mark won't give migrants enough time to prove their identities. He said that several other aspects of the bill remain too punitive. "We need far more amendments," he said. "Canadians should understand that this bill really dismantles Canada's refugee system." Showler said the government needs to clarify what exactly would prompt it to release those claimants at the 14-day mark or the six-month mark. "We need to see more information about that." He also called the current timelines "outrageously fast" and said they would hamper the ability to make fair decisions. "The minister has given no hint he's willing to give ground on any of those [timelines]," he said. Refugee lawyer Lorne Waldman dismissed Kenney's changes as "cosmetic" and said they do nothing to alter the "insidious" nature of the bill overall. Click to see the formal definition as laid out in 1951 UN convention. "The minor concessions that the minister has made don't alter my opinion one iota and don't alter the likelihood of major constitutional challenges," he said. Waldman, who has represented several claimants from the groups of Tamils that arrived by boat in B.C., said other aspects of the bill are unconstitutional and will do irreparable psychological damage to people who are legitimate refugees. Particularly harsh, he said, is the fact that claimants who are granted refugee status would nevertheless be barred from reuniting with their families for five years. They would also be denied permanent residency status during that time. The bill also would allow the minister to designate particular countries as "safe," meaning refugee claims from those countries would be fast-tracked without right of appeal. Earlier Wednesday the NDP's immigration critic, Jinny Sims, signalled her party won't support the bill after a parade of legal experts, human rights advocates and refugees themselves warned the bill will violate domestic and international laws. "Today New Democrats are calling on Conservatives to abandon this legislation and go back to the drawing board," she said. "We believe that the ultimate result of this bill will be to hurt legitimate refugees. Witness after witness has told the committee that C-31 is fundamentally flawed and unconstitutional." When asked if her party would support the bill if the detention provision was dialed back, along with clarification about when people could be deported, Sims said [those measures] "would not go far enough to address the fundamental flaws in this bill." Sims promised to give the government's amendments close consideration in line-by-line study today and tomorrow. Sims said the bill's many "draconian" measures would only serve to punish the victims while not improving safety. Michael Bossin, a refugee lawyer and representative of Amnesty International, argued the detention provision would create a legal quagmire. He argued that if the provisions are ultimately thrown out by the courts there would have to be a huge retroactive clean-up of cases. "Will that create a huge expensive mess far worse than the one we are in now?" he asked. "Yes you can count on it." Today, a Commons committee that has been reviewing the bill will move to a clause-by-clause study. That study will be completed Thursday and followed by a vote on the amendments. In a majority, the government does not require opposition support to pass the bill. Bill C-31 replaces a former law, the Balanced Refugee Reform Act, which received opposition approval in the last minority parliament but has not yet been implemented. Should the immigration minister alone decide which countries are 'safe'?